Explanation: Streaking high above diffuse clouds -- but well in front of distant stars -- are sand-sized bits of an ancient comet: meteors. These bits flaked off Comet Tempel-Tuttle during its pass through the inner Solar System about 150 years ago. Far in the background are stars toward the constellation of Ursa Major. The above image is digital combination of 12 exposures taken on the morning of November 19 from Florida, USA. 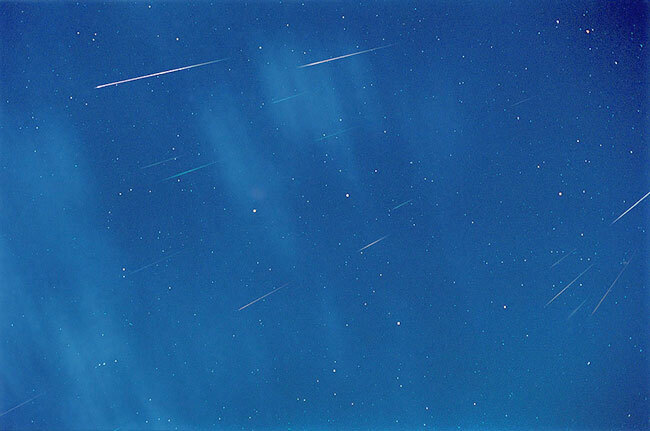 Observers there reported a strong peak in faint meteors between 5:30 and 6:00 EST, with a particularly strong minute coming at 5:46 EST when 22 Leonid meteors were counted. 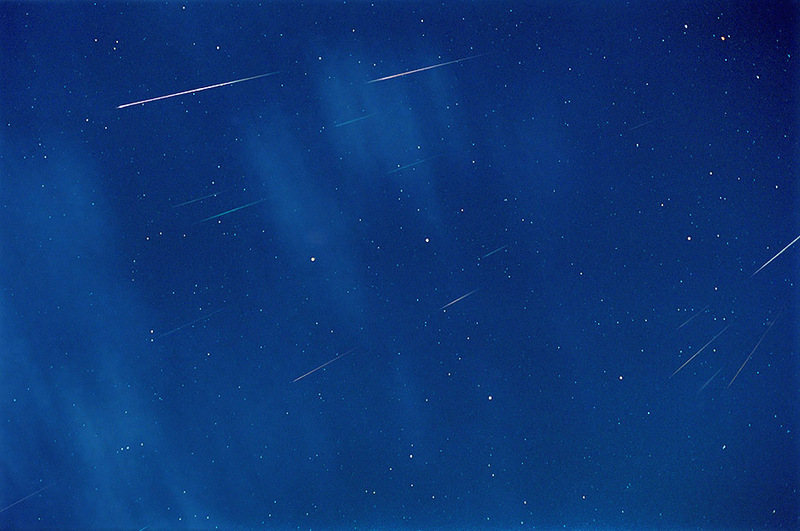 The likely less impressive Geminid meteor shower will peak over the next three nights.